Be Quiet! 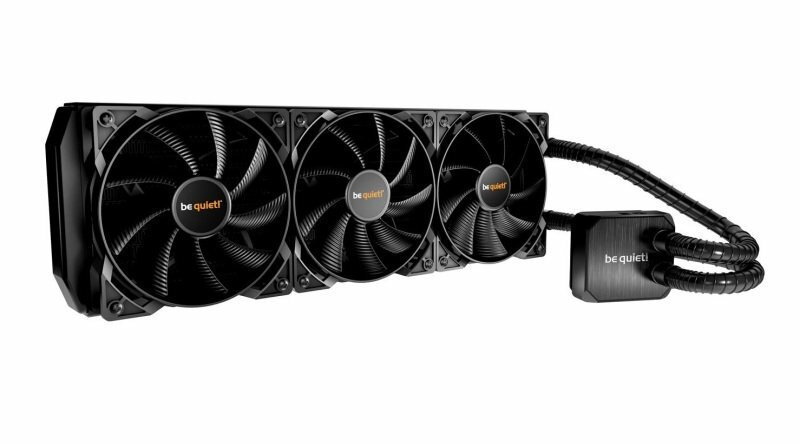 Silent Loop AIO 360mm WatercoolerSorry, this product is currently out of stock. This innovative, decoupled pump assures excellent cooling efficiency and whisper-quiet operation. The pump's "reverse-flow" technique draws the liquid coolant from an outer cavity of the pump housing across the base plate, discharging the warmed coolant through a second level inside. This is key to guaranteeing the silent be quiet! operation. Flexible tubes that are bend- and pinch-protected take the worry out of routing the supply lines. The refill port and tubes help extend the product's life span and make handling easier. Silent Loop is compatible with the most powerful of AMD processors - the Ryzen™ Threadripper™. To be able to install it in their PC, users also have to order the special TR4 mounting kit bz007. It's the perfect water cooling solution for gamers and graphic artists needing the utmost performance.